Low Sodium Foods - How Much of Salt or Sodium is Required in a Day? 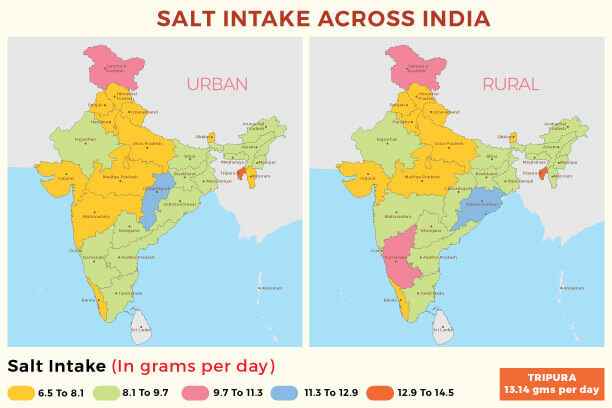 In November 2016, a research conducted by an Australia-based George Institute of Global Health (GIGH) declared that on an average, Indians are consuming double the amount of WHO recommended salt intake per day. How much salt should you have a day? While we are supposed to be consuming 5 gms/day, we are instead, taking almost 10.90 gms/day. And that can be one of the core reasons of major Indian population suffering from heart problems and high blood pressure issues. The above research was published in Journal of Hypertension, where it was reported that Tripura, out of all the Indian states showed the maximum salt consumption of about 13.14 gms per day. So, where are we going wrong? a) More dependence on packaged and fast foods. b) Less awareness of the gravity of this situation. The high rate of Cardio Vascular Diseases, Hypertension, Obesity etc. which are intricately related to high sodium in food. Adults: Less than 5 gms a day. Children: The maximum intake of salt for adults should be adjusted downward for children aged 2 to 15 years based on their energy requirements relative to those of adults. With high salt intake the sodium level of the body increases. In order to dilute this sodium in food, the body starts holding more water. This increased level of water increases the blood volume which starts pressurising the blood vessels and leads more workload on the heart. These lead to hypertension and heart attacks. Before going for any product we should keep a check on the content of sodium in food. 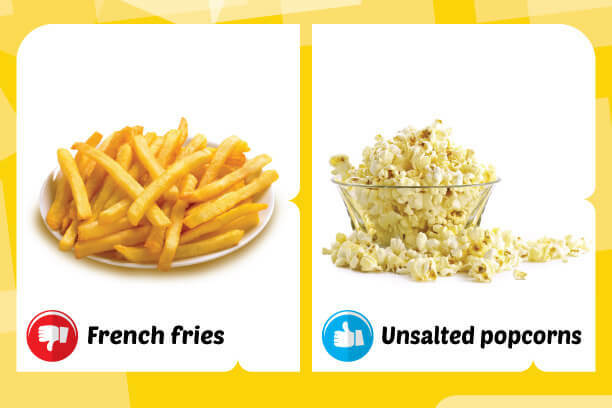 Here are 8 salty foods that you should be avoided if you are reducing salt intake. With decades of high salt intake, it becomes difficult for us to suddenly drop to the normal recommended salt intake level, however, a few changes in our dietary habits can certainly do the trick. Here are the 7 tips to help you maintain the recommended daily sodium in food requirement. Replace fast foods and packaged foods with fresh foods. 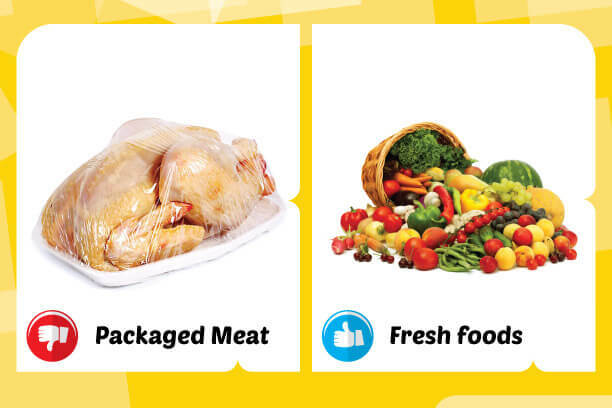 Packaged meats contain hidden sodium which should be avoided. Eat more home made foods. When you cook, you can manually limit the salt in your food which becomes difficult while eating outside. Therefore, try having home food as much as you can. Instead of frozen fruits and vegetables, have fresh ones. In place of salt, use alternatives like herbs and spices or chaat masala. In fact, chaat masala is a combination of different healthy herbs and spices like hing, jeera and black salt. You can also mix table salt with rock salt, which contains minerals. Avoid the habit of taking extra salt. If you can, keep the salt shaker away from the dining table. Be alert about the ingredient list. We often ignore the ingredient list, read it and check for the contents. 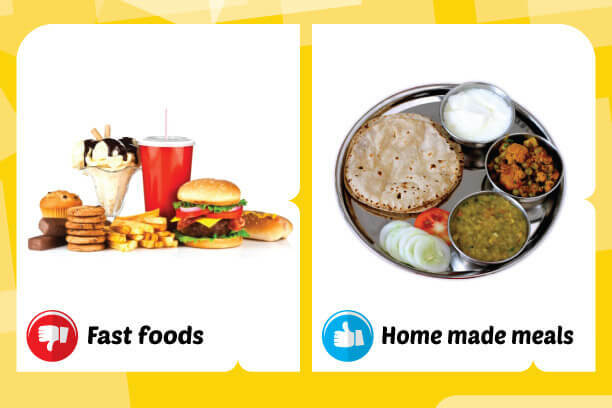 Choose the food brand that states low sodium content. Go for seasonings that have no sodium like garlic powder. Avoid dressings and sauces that have high sodium. To know more, check out the video here!! Blood Pressure: A high salt diet can raise your blood pressure that leads to heart attacks and strokes. Heart issues: High salt raises blood pressure which makes the walls of blood vessels get thickened. This makes the blood vessels become narrow making them incapable of carrying enough blood to the heart. Stomach cancer: H. pylori is a bacterium that is related to stomach cancer. And a high salt intake increases the growth and action of this bacterium bringing higher risks of stomach cancer. Kidney issues: A high salt intake leads to high calcium amount to be excreted by the kidneys into the urine. This, in turn, leads to a buildup of calcium and therefore kidney stones. 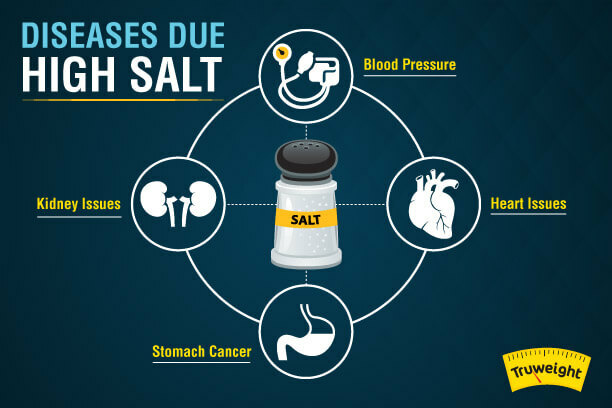 So here it is, excessive salt intake can lead to serious health problems. Therefore, we got to keep a tab on our daily salt intake. Finding the healthy alternative foods isn’t the problem, putting an effort on replacing them in place of the unhealthy ones that we are so used to, is usually the main concern. For more healthy tips, diet plans and recipes that can fit into your daily life, follow our blogs here. You can also sign up here, for a first FREE health and weight consultation from our Nutritionist.